ELECTRIC AVENUE built by BOSA. Fantastic Concrete Building in a Great Location in Central Downtown Vancouver. 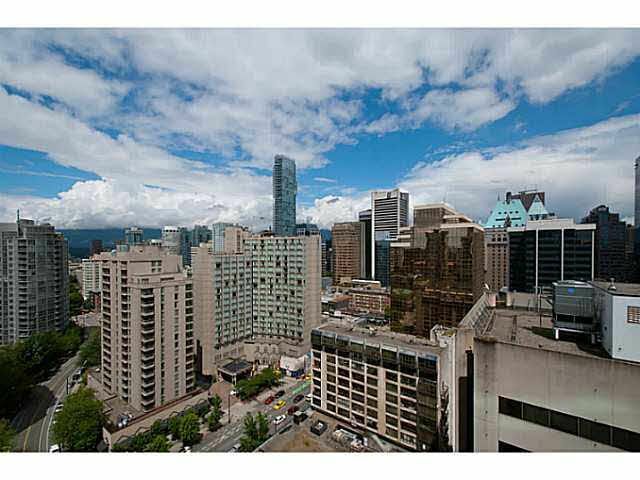 This Beautiful One Bedroom plus Den Condo has Wonderful Views of the Downtown Core and the Northshore Mountains . Excellent Condition. The Unit Features Granite Countertops, a Built In Microwave, Cheater Ensuite Bathroom with Walkthrough Double Closets, Good Size Balcony, a Nicely Equipped Gym, Large Party Room and Low Maintenance Fees. ELECTRIC AVENUE is situated within Walking Distance to Robson Street Shopping and Restaurants, Scotiabank Theatre, IGA Marketplace, Art Galleries, Yaletown, Pacific Centre, and Transit. Insuite Laundry and Parking Included.